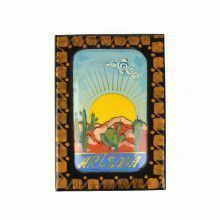 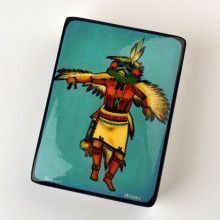 This Southwestern themed box was hand-made by Russian artist especially for The Russian Store. 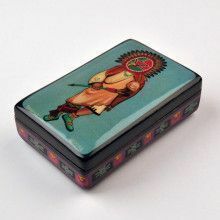 Its extraterior is covered with several layers of fine lacquer. 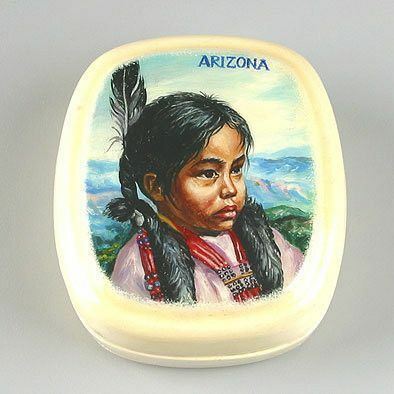 The top of the box displays an exquisite, detailed painting of a portrait of young Native American girl. 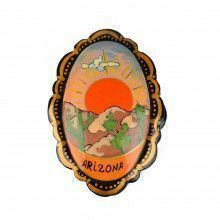 On the top right corner it says in Russian Arizona (Аризона). 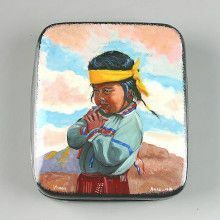 About 2 1/2" x 2 3/4" x 1"